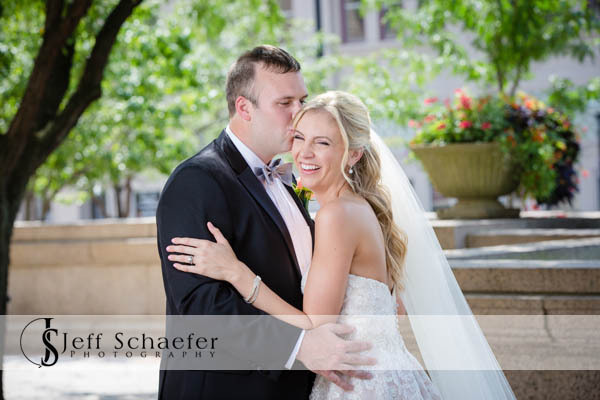 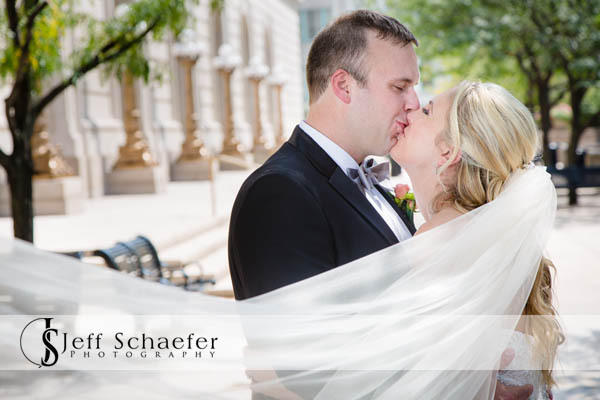 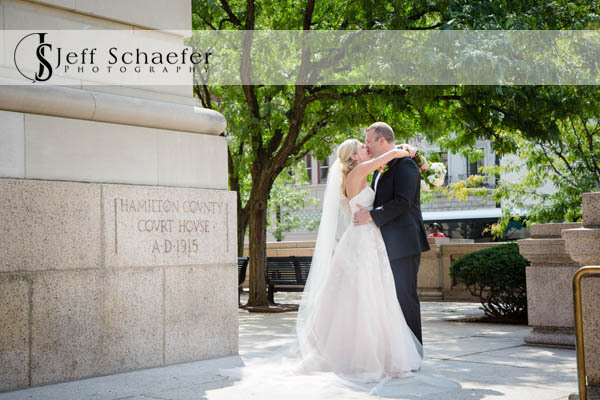 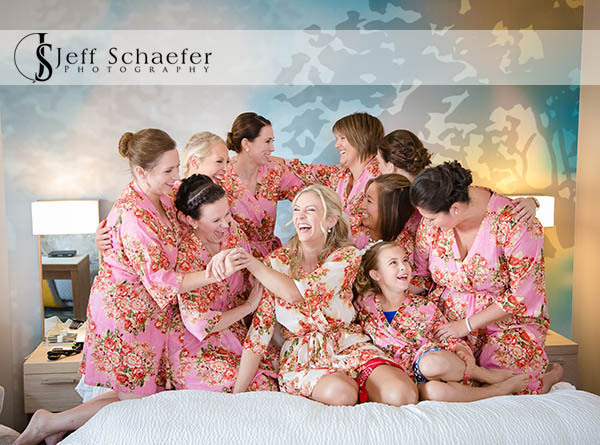 Lisa and John did their first look at the Covington Marriott before portraits around the Hamilton County Courthouse. 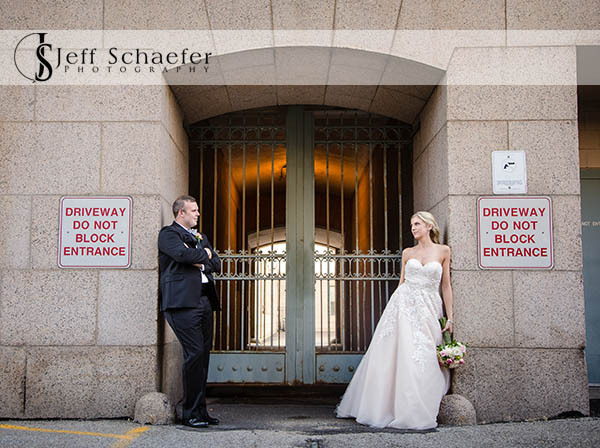 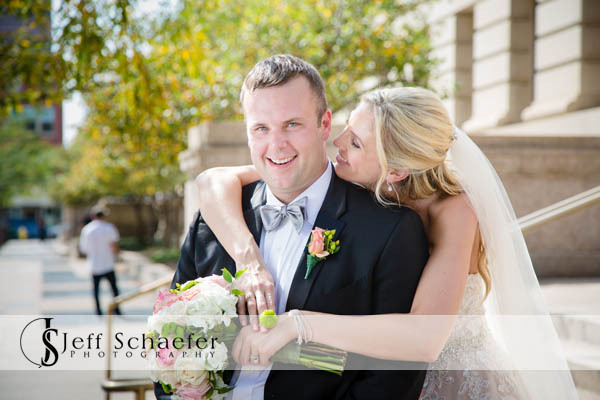 The courthouse is a special location to Lisa and John, which is always to have portraits taken at a more meaningful location. 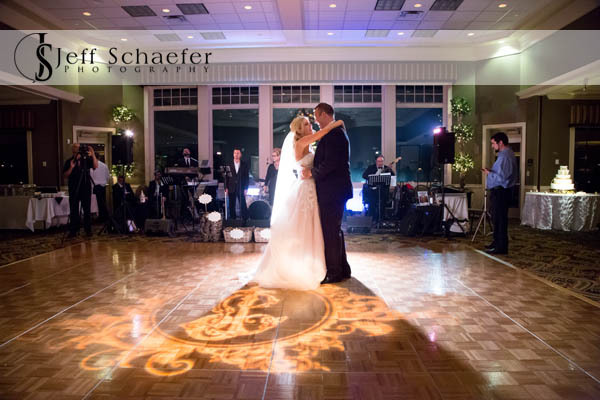 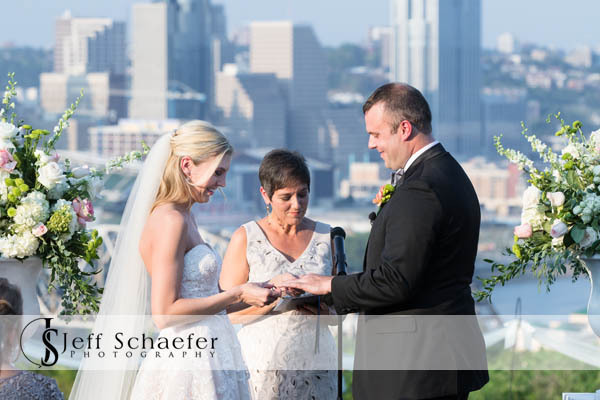 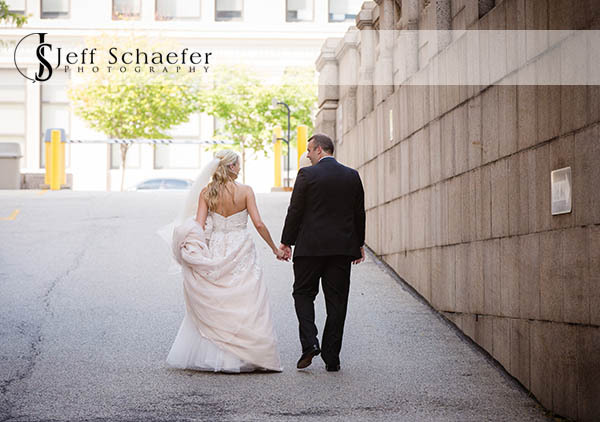 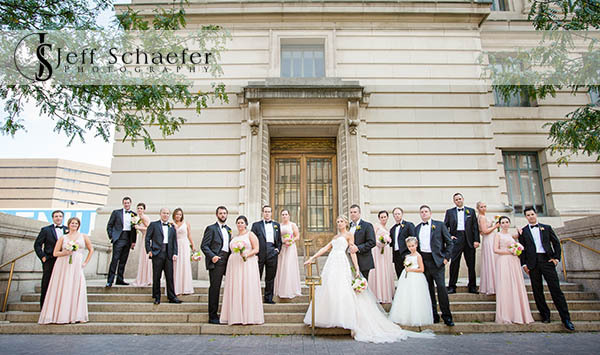 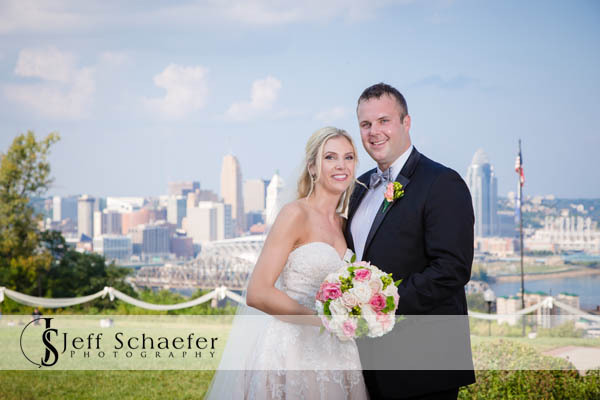 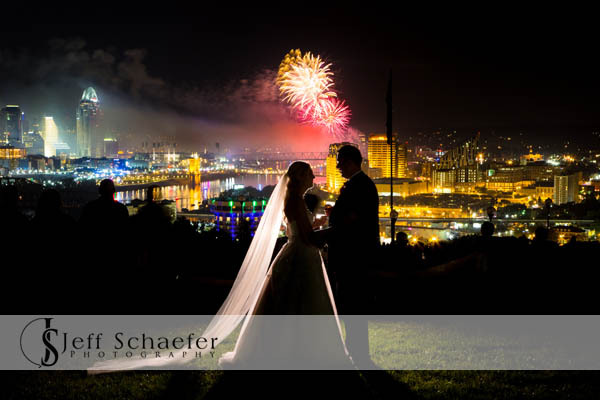 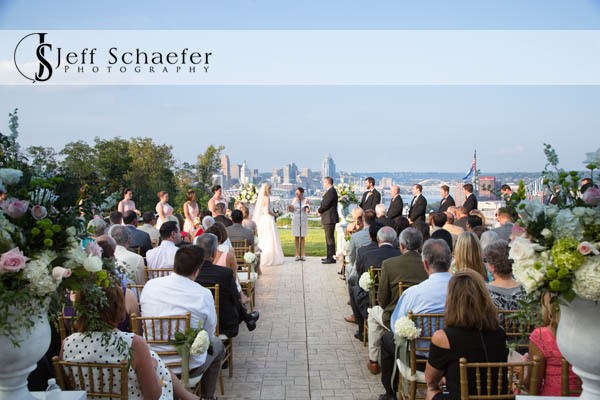 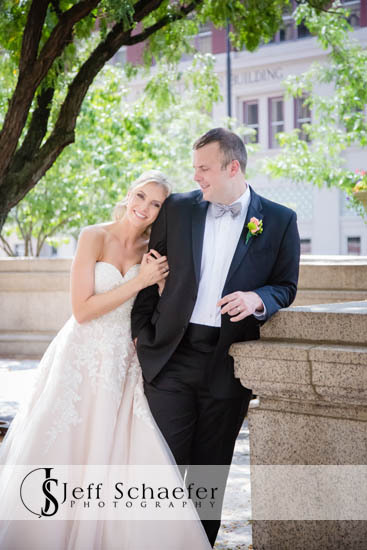 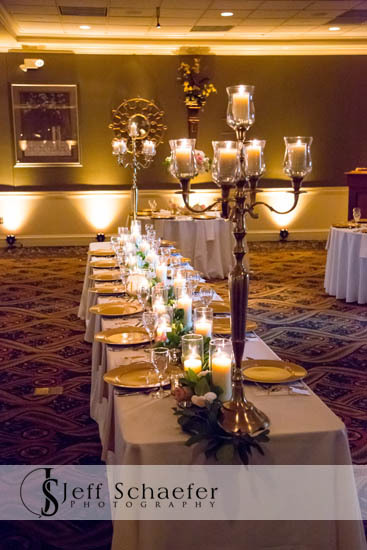 The ceremony was on the terrace at Drees Pavilion, overlooking the city. 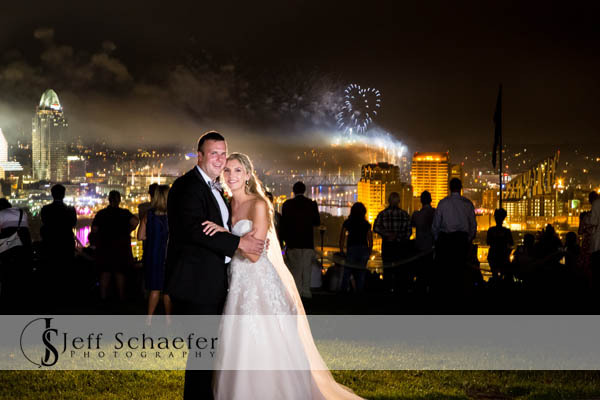 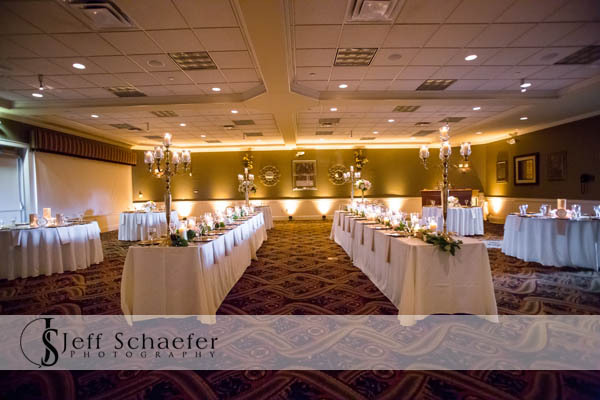 The reception was at also at Drees, where we were treated to and awesome view of the Riverfest fireworks.